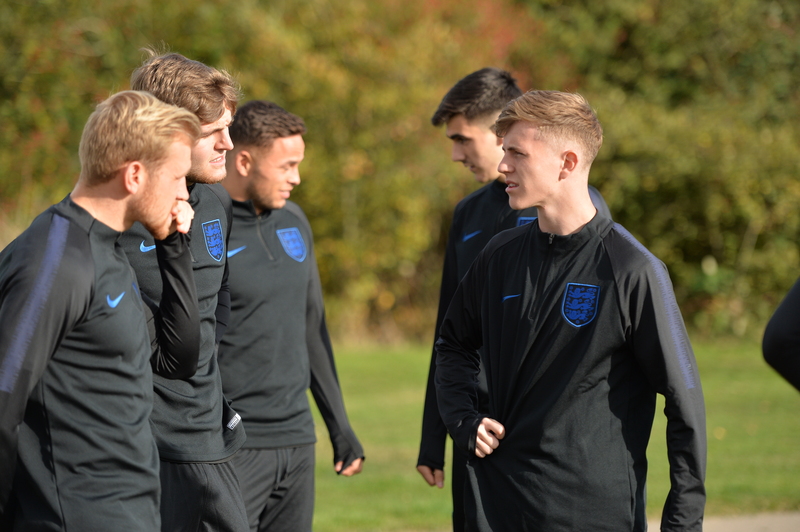 Coasters midfielder Ryan Croasdale captained England C to victory as they defeated Estonia U23 at The Breyer Group stadium on Wednesday evening. Midfielder James Hardy also impressed for the Three Lions as a second-half penalty from Havant and Waterlooville striker Alfie Pavey was converted to secure victory for England C.
England controlled the first half as Salford City’s Tom Walker brought the ball from midfield before setting up Hardy to strike. The youngster flashed a controlled strike narrowly wide after some stunning build-up play from the Three Lions. England were awarded a penalty on the 65TH minute as former Coasters man Laurence Maguire was pulled back by and Estonian defender Alfie Pavey stepped up and smashed his effort past the goalkeeper. As the game came to an end both managers continued to make changes but Fylde men Croasdale and Hardy both stayed on for the full 90 minutes as England secured the win.